Americans won’t have to wait very long to watch Gillian Anderson’s latest project, the psychological thriller The Fall. In fact, you can watch it right now. Popular entertainment service Netflix is already streaming the five-part drama – before it’s even finished airing in the UK! And since everyone you know has probably already gotten a Netflix subscription thanks to the return of Arrested Development, why not take the time to try out some excellent-looking British drama while you’re at it. The five-part drama stars Anderson as DS Stella Gibson, a talented detective on the trail of a serial murderer named Paul Spector (played by Jamie Dornan) in Belfast. The story follows the police investigation, uncovering an intricate web of lives entangled by the killings. Watch the trailer below. It’s got a very dark, Prime Suspect-ish feel, but it looks quite good. 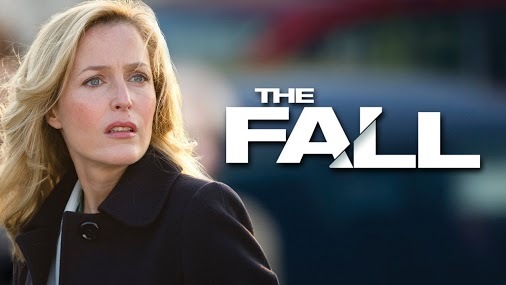 The Fall debuted as BBC Two’s highest rated drama since 2005 and has already been re-commissioned for a second season. It’s lovely to see Netflix joining Hulu and streaming British programs which might otherwise never find an American distributor – and doing so close to their actual UK airings! (In fact, Americans can actually stream the entire series on Netflix at the moment and the final episode doesn’t actually screen in the UK until June 10! Thanks, Netflix!) The fact that this broadcasting strategy of providing greater access to current British shows online seems to be catching on should be making Anglophiles seven shades of excited, because it certainly does seem to be working on some level for these distributors. Fingers crossed for even more of this kind of thing in the future! The setting, cast and message of The Guernsey Literary and Potato Peel Pie Society are just three reasons you might want to give this film a try. It's official: Dystopian science fiction series "Black Mirror" will be back for Season 5. It's official: Netflix's Ricky Gervais dark comedy "After Life" will get a second season!